01/04/2019 | World in WAIMH | Weatherston, D. & Foley, M.
This Fall (2018) edition of WAIMH Perspectives in Infant Mental Health assembles the articles and notices that have been posted via social media since the Spring Edition. This is the second full edition that has been published using this new format. To recap, following review and acceptance, each submission is now posted to social media by the WAIMH Central Office staff. The effect of this format is weekly and or bi-weekly posts that call attention and consideration what WAIMH members and allied infant mental health colleagues, around the world, are thinking, doing, and writing about. In addition to the new publication format of Perspectives, this issue marks another milestone. I am stepping aside from the role of Editor which I have been honored to hold for WAIMH since 2012 and Maree Foley, Associate Editor, will become the new Editor in January 2019. I will remain available and engaged as an Assistant Editor. I would like to thank the WAIMH Board of Directors and the Executive Directors, past and present, for their support of this publication and of me and offer a very special thanks to Minna Sorsa (Finland) from the Tampere Office who has worked with me to produce each issue of Perspectives, year after year. I am enormously grateful for the work of the Associate Editors of Perspectives: Hi Fitzgerald (Michigan, US), Maree Foley (New Zealand/Switzerland, and Joshua Sparrow (Massachusetts, US). 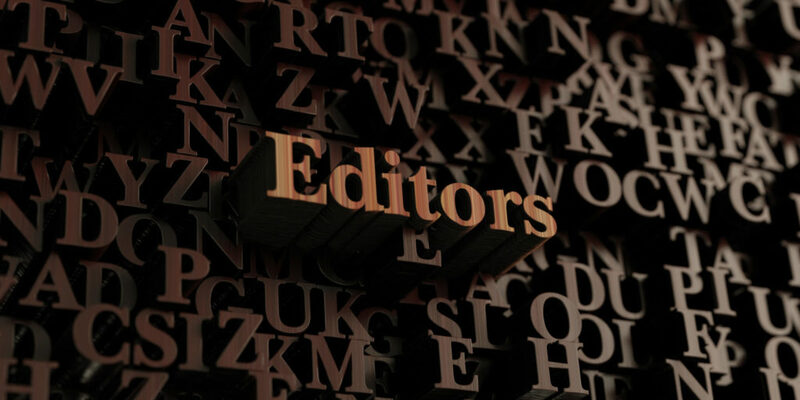 Hi has been steadfast in his commitment to review and edit contributions; Maree has a gift for revising and editing and is a superb author in her own right; Joshua has been instrumental in generating many new ideas and developing a new column, “World in WAIMH”. Each has reached out to contributors with an eye on relevant clinical, social and advocacy issues for babies and families around the world. Each has offered strong support to me in my role as Editor. Finally, but perhaps most important of all, thank you to each person who contributed articles to Perspectives and to those who reviewed them. As a result of your generous clinical and scientific contributions, we have had a window into the unique world of infant mental health around the world. That is the purpose of WAIMH Perspectives. For each of you, I am deeply appreciative. This Fall (2018) edition begins with a previously posted article: How Refuge provides ‘refuge’ to Infants: Exploring how ‘refuge’ is provided to infants entering crisis accommodation with their mothers after fleeing family violence, by Wendy Bunston, Australia. This article is a summary of Wendy’s doctoral research on infants’ experiences of refuge while in Refuge crisis accommodation with their mothers. Wendy generously provided the full link to her PhD thesis. It can be fully accessed and downloaded by visiting: http://hdl.handle.net/1959.9/55917. The next previously-posted papers are from the Alliance for the Advancement in Mental Health: (Part I) The Alliance for the Advancement of Infant Mental Health: A Grass Roots Journey for Infant Mental Health (Margaret Holmberg & Ashley McCormick, USA); and (Part II) The Alliance for the Advancement of Infant Mental Health: A Grass Roots Journey for Infant Mental Health (Margaret Holmberg & Ashley McCormick, USA). These two papers outline a brief history of the Alliance and identify current initiatives within the Alliance. The authors summarize the results of a 2017 survey conducted by the Alliance with a view to furthering understandings of: what makes an infant mental health association strong. The results of this survey are aptly described by the authors as a consolidation of the “inspiring work of the Alliance association members”. They summarize this impressive and far reaching national and international body of work in the field of infant mental health via a synopsis of a presentation: “What Makes an Infant Mental Health Association Strong?” by Ashley McCormick. Next is a review of a recently published book: Psychodynamic Interventions in Pregnancy and Infancy: Clinical and Theoretical Perspectives by Bjorn Salomonsson. The review was conducted by Lucie Zwimpfer, New Zealand: “The perinatal period can be fraught with worry; the worries of babies, caregivers, and of the professionals that come into contact with them. In his latest book Psychiatrist and Psychoanalyst Bjorn Salomonsson shows us how ‘baby worries’ can be safely brought out into the open and treated in a truly integrated way … I will return to this book again and again and consider it to be essential reading for any parent infant therapist, especially those who are responsible for supervising primary health professionals, upon whom we are dependant for recognising the baby worries in the first place” (Zwimpfer, 2018). This paper is followed by a new introduction to the WAIMH office staff: Minna Sorsa, Sari Miettinen and Reija Latva. Next, WAIMH affiliate news is reported from the WAIMH affiliate Chair (Anna Huber, Australia) and the affiliate representative, Jane Barlow, UK. What follows is the ever-current and relevant re-posting of, A WAIMH Position Paper on the Rights of Infants (reposted from 2016). Finally, this edition closes with the announcement of a search for a new editor of the Infant Mental Health Journal (IMHJ). The IMHJ is the official publication of WAIMH and is copyrighted by the Michigan Association for Infant Mental Health. The Call for Applications briefly describes what the requirements are for the position and the time frame for applications. Maree and I thank each person for their interesting and thoughtful contributions. We welcome submissions from the field that challenge the way we think about infants, families, culture, and community, and offer fresh perspectives on policy, research, and practice. As always, we invite comments in response to what is published in WAIMH Perspectives in Infant Mental Health.